I believe that two Goehle related families came from Osthofen. Unfortunately, the Catholic Church records for Osthofen that are available through LDS only go back to 1721. 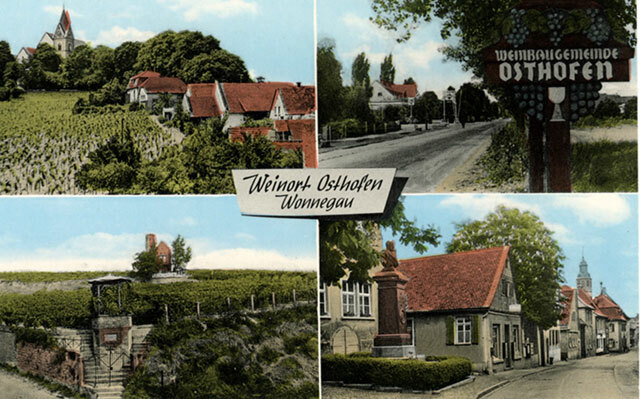 Osthofen is located about 9 kilometers north of Worms. It is a very old community. The area was densely populated in the Stone, Bronze and Iron Ages. Remains of Roman houses have been found in Osthofen. The first known written mention of Osthofen was in the Lorsch Codex of 784. The name "Hofen" indicates a Frankish settlement and Fraconian-Merovinigan tombs have been discovered in the area. 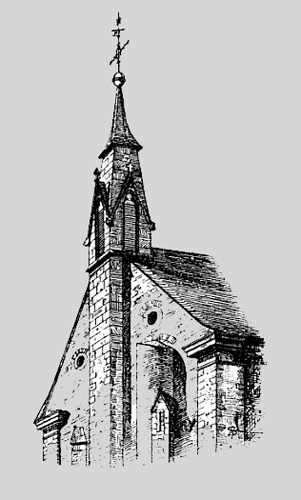 A church was dedicated to Saint Remigius in Frankish times. 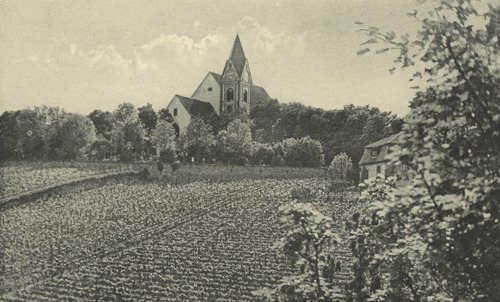 Over the centuries the church and neighboring farms were incorporated into a fortified castle. Remains of the castle are still visible today. St Catherine's Chapel contains Romanesque frescos from circa 1230. 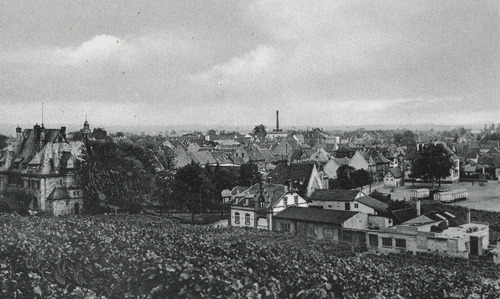 From 1468-1798 the town belonged to the jurisdiction of Kurpfalz. Kurpfalz is the historical name for the Rhine Palatine territory. The fields below the church are vineyards. 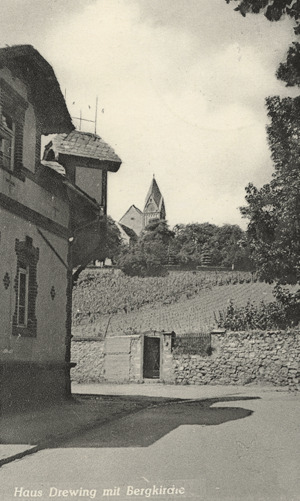 On the railroad from Mainz to Worms, close to the Rhine, has a court, one Catholic and two Protestant churches, a synagogue, sulfur source, viniculture, population 3,038. 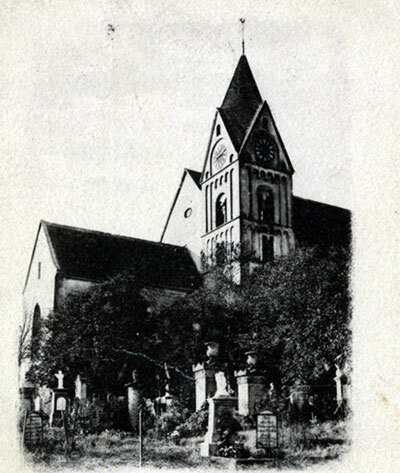 Mentioned in 784 in connection with the donation of land to the Monestary of Lorsch. There was a castle on the south end of town near the cemetery of the Remigiuskirche. 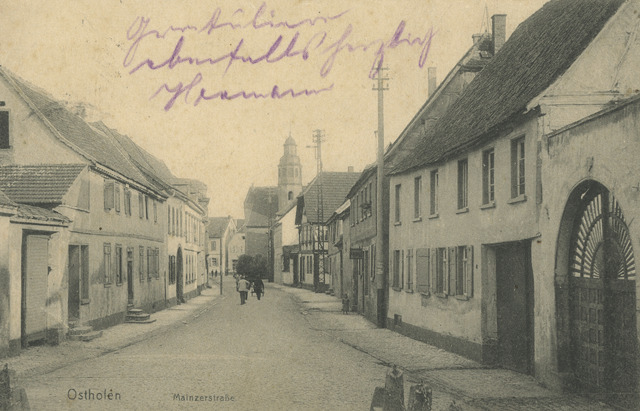 In 1195 the town was transfered to Count Heinrich von Wartenberg. In 1241 the castle was destroyed in a feud between the residences of Osthoven and Bishop Landolf of Worms. In 1332 the Honbach abbey was in the possession of the court and village of Osthoven. In the 15h century the village was owned by bailiwick and partially separated. It was sold to Count Johann Wildgraf IV in 1438.... and something about Elector Ludwig IV of the Palatinate. In 1468 Bishop of Worms, the Elector Friedrich Reinhard von der Pfalz was invested with the Bailiwick. Later we see the Palatinate in sole possession of the village court. So it remained until the French Revolution. The evangelical church was located in the middle of a cemetery on a hill south of the village, separated from the houses of the village. It had a Romanesque tower and chapel and a Gothic choir. Roman and Frankish remains have been found in the area. Important market town in the former Palatinate region about one and a half miles above Worms. Population about 3,167. The German kings, the bishops of Metz, Mainz and Worms, the monasteries of Hornbach, Mulheim and Lorsh, the Knights Templar and Knights Hospitallar all had significant assets here. 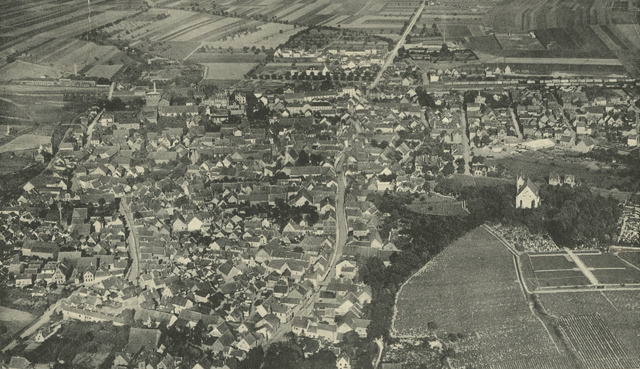 Osthofen suffered during the Peasant War. A large part of the town was burned and the inhabitants were compelled, if they did not want to lose life and property, to make common cause with the rebels. On March 2, 1621 during the Thirty Year War Osthofen was completely burned to ash. The Catholic church built in 1792 has towers dating to the 14th century. This church formerly belonged to the monastery of St John. 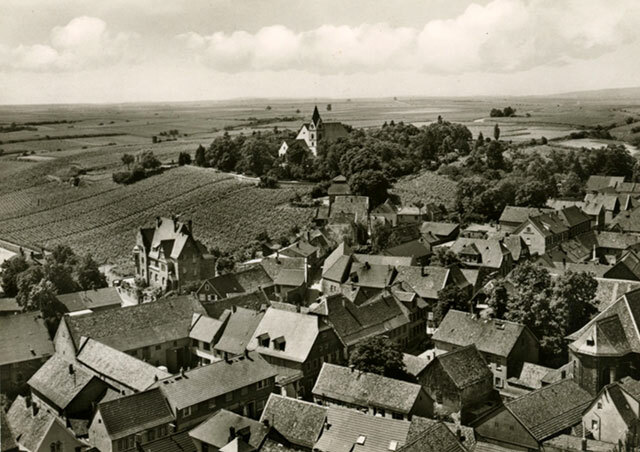 The Templars from nearby Mulheim exercised the right of patronage over the church. There is one Protestant church in the village and another on a hillside outside the village. This church is dedicated to St Remigius and the lower portion is build on the remains of a former castle. There is a magnificent view of Worms from the hillside. Johanniskirche, Catholic Church Osthoven. Transfered from the Protestant order of St John to the Catholic Church in 1713.